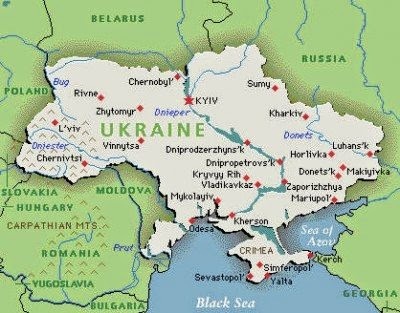 seawapa.co: Ukraine: Is There a Chance for De-escalation? The situation in Ukraine is a high priority for U.S.-Russian relations on both sides of the Atlantic. At the same time, the election of Petro Poroshenko as the new president of Ukraine, who has publicly stated that he does not plan to cease the “anti-terrorist” operation in eastern Ukraine, does not give much hope that Ukraine will get out of the bloody situation on its own. Many experts have doubts that Poroshenko will make decisions on his own in the future due to the regular visits of American officials and advisors to Ukraine. For many observers, Washington seems to see only outside influence in Ukraine coming from the Kremlin, while its own involvement is more benign. In this sense, American officials seem to see the Kremlin as part of the problem, while Washington is part of the solution. However, this is not the case.Who needs such a war in Europe and why? What does the U.S. pursue in Ukraine? What is the future of Ukraine as American officials see it? Why is the White House, with all its influence on the Ukrainian elite, closing its eyes to the killings of civilians in Ukraine? How many peaceful Ukrainian citizens have to die in eastern Ukraine before the U.S. and its NATO allies see that Kiev’s policy is the policy of genocide against its own citizens? Could Moscow and Washington prevent the worst case scenario and become the joint solution to resolving this crisis before it becomes a civil war throughout Ukraine? A joint Washington-Moscow video conference on June 10, 2014 examined this crisis to see if a way forward might be found. Participants included from Moscow, Mr. Yuri Rogulev, Director of the Roosevelt Center of Research of the United States of America at Moscow State University; Mr. Bogdan Bezpalko, Vice-President of the Ukrainian Center at Moscow State University; and from Washington, Mr. Daniel McAdams, Director of the Ron Paul Institute of Peace and Prosperity; andMr. Patrick Basham, Director of the Democracy Institute and adjunct scholar at the Cato Institute. MODERATOR: Washington, is there a chance for de-escalation of the conflict? BASHAM: First of all, we need to calm down the situation, try diplomatic solutions and the over-all cooling off. MCADAMS: The problem in the U.S. now is the information deficit. Actually, the mainstream media in the US treats Russia worse than it treated the USSR. Russia is demonized in American media. Moreover, the members of the U.S. Congress get their information from their staffers who in turn read the news in the Washington Post and The New York Times. American politicians cannot get the correct picture as they get the distorted facts presented to them in the first place. MODERATOR: Moscow, what can you say? ROGULEV: After the collapse of the USSR, many newly formed countries were in a fragile state, including Ukraine. Ukraine was a fragile state and did not have self-identification yet to be exposed to revolutions. When it comes to Ukraine, all the actions should have been very carefully thought out. As for the mainstream media, I do agree that U.S. media is rather one-sided these days. Also, the White House uses information from the Ukrainians, namely the Ukrainian government about the situation in Ukraine, which cannot be objective. 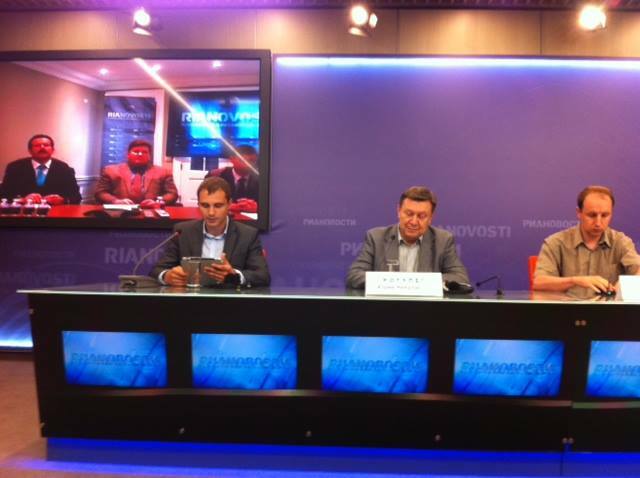 MODERATOR: We are all aware of two cases in which Russian journalists were abducted in Ukraine. Your thoughts on media in Ukraine and the U.S.? BASHAM: Once the conflict in Ukraine was pronounced on Capitol Hill, some were proclaimed good and some – bad. Americans immediately took sides: black hats vs. white hats. However, the situation is not black and white. In the future, we will have the opportunity to learn some lessons from this crisis. MCADAMS: American media plays an important role as it forms opinion. First, it was all over the U.S. media that Saddam (Hussein) must go, then Gaddafi must go. Now, Putin must go. This kind of rhetoric is implanted in the heads of Americans. People are taking this garbage non-stop so it is not easy to change one’s opinion and it is not easy to de-escalate the situation. Look what happened to Libya. After the U.S. eliminated Gaddafi and after continuous NATO bombing, the country turned into a third world hell. MODERATOR: How do you see the consequences of the Ukrainian elections when more than 7 million of the country’s citizens (Lugansk and Donetsk regions) did not participate? BESPALKO: I cannot call this election legitimate at all. First of all, the elections were led by the people who took power after the coup d’etat. Secondly, an election cannot be held when the country is under a civil war. It is a known fact that there were no representatives from eastern Ukraine so the whole choice of candidates is highly doubtful. Besides, how can democratic elections be held when there are murders and intimidations in Kiev on a regular basis? Frankly, I do not see any difference between Poroshenko and Turchinov. For example,the Odessa massacre is not being investigated where between forty-plus and a hundred-plus people were killed only because they had another point of view! Poroshenko suggested “humanitarian corridor” but I consider it to be just demagogy. Do you know that the Ukrainian government uses not only “Grad” rockets on its citizens in eastern Ukraine but also the “Tyulpan” (Tulip) which is a 260 caliber weapon of mass destruction?! Just today two kids were killed and it is becoming quite a normal thing there. Poroshenko states that he is planning to end the war, but he did not offer anything new. Basically, his offer of peace is the offer for eastern Ukrainians to surrender. The only reason Poroshenko is interested in ending the war is economic; he spends $3 million per day on this war. Donbass. No matter what Kiev says, Donbass is vital for the Ukrainian economy and losing Donbass is losing 16% of GDP, according to the Wall Street Journal. Also, nobody offered Poroshenko any financial aid so somehow all this must be financed. ROGULEV: Many politicians are engaged in demagogy. We witness that in Ukraine as the law is broken and elections cannot be viewed as legitimate. Still, it is better to have some sort of order and government than anarchy. Chaos will continue if there is no government unless, of course, the chaos itself was created by the government. The situation went too far and this may lead to a very serious conflict. When the U.S. and EU realize the seriousness of the whole situation, they might do something about it. I do have doubts that Poroshenko can handle the situation. It has been six months since Maidan began and we see no results whatsoever. Maidan was supposedly against corruption, oligarchs, unemployment. Nothing has changed – Poroshenko is one of the oligarchs, there is still corruption, oligarchs are in power, poverty. Nothing has changed, so what was the point of this Maidan? Many Ukrainians are disappointed and I doubt that Poroshenko can take the country out of crisis. MODERATOR: Washington, please give us your answers. MCADAMS: John Kerry called the Syrian elections a “big zero” where most citizens voted while in Ukraine where many Ukrainians were not able to vote, he called the elections the “victory of democracy.” The elections are legitimate only when the U.S. supported candidate wins. U.S. hypocrisy is astonishing. Another point of U.S. hypocrisy. Just imagine if Yanukovich fired missiles on the Maidan protestors, but now it is done by the Kiev government against people in eastern Ukraine and the U.S. is okay with that! The psychological impact in Slavyansk is horrible. Basically, the U.S. is demonizing pro-Russian citizens of eastern Ukraine for being Russians. To me the humanitarian corridor by Poroshenko sounds like back door ethnic cleansing. A similar situation happened in Kosovo. In a while you might see Eastern Ukraine completely emptied of those who do not agree with the Kiev regime. BASHAM: How do we prevent the situation from getting worse? Both sides need to focus on the bigger picture. Neither country is a strategic enemy nor rival, so there is no strategic rivalry. For the U.S. and Russia it is important to look for new economic venues of cooperation instead. MCADAMS: It seems that the U.S. assumed some sort of mission to interfere in every conflict and every country on the planet. Why? Who cares whether Crimea is in this or that camp? Who cares about Ukraine? The U.S. seems to care about everything everywhere. Why not focus on economic issues and investments instead of sticking our noses in other counties affairs? The U.S. seems to be compelled to interfere in other countries’ affairs all the time. ROGULEV: The U.S. should stop the sanctions, period. It only leads to animosity, not dialogue. Second, give up the practice of punishing countries right and left. Third, the U.S. needs to continue dialogue. The U.S. and Russia have mutual interests and it should be the focus instead. Besides, the U.S. and Russa as nuclear powers have enormous responsibility. Dialogue between Russia and the U.S. should be on a regular basis. For instance, Obama took a break way before Maidan started and he focused on such issues as the Magnitsky list and adoption issues. Russia is open for dialogue. BESPALKO: We have to admit that Ukraine is a failed state and “united Ukraine” is simply not possible and needs to be divided. Why not? The Czech Republic broke into two parts very peacefully. Sudan broke into North and South Sudan. Yugoslavia disintegrated, though not as peacefully. Crimea has left as a result of a referendum and the will of people. So, people should decide themselves. East Ukraine wants independence from Galicia, it is simply not possible to impose Galicia’s values on East Ukrainians. Perhaps, the U.S. and Russia should agree to divide spheres of interest in Ukraine. MODERATOR: Thank you all for your participation.